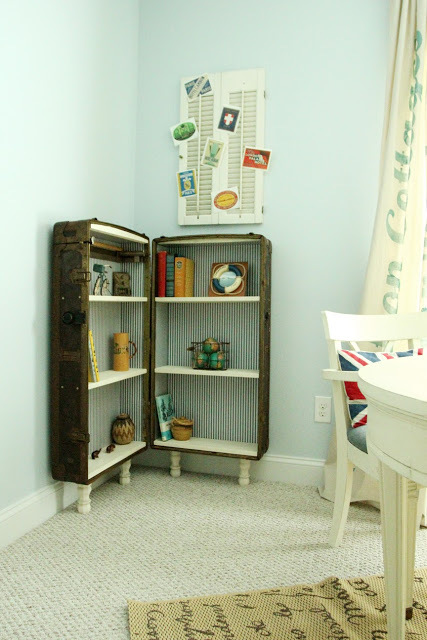 Upcycle that old vintage suitcase into a table, shelves or a dresser. 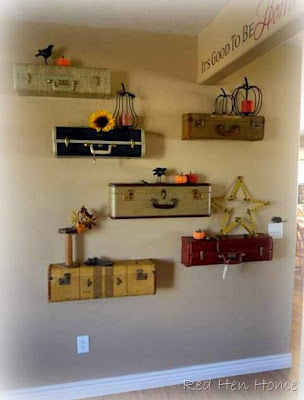 There are so many home decor ideas you can craft and makeover those old suitcases. I LOVE vintage suitcases. Every time I go to thrift stores I have to check out what they have for suitcases. I have seen some pretty cool ones but I have never really know what to do with them so I have left them at the store. 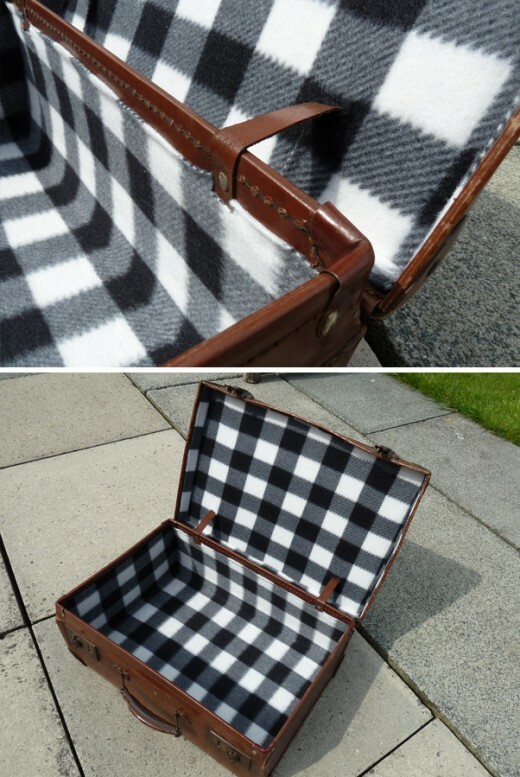 It was time for me to do a little research and find some of the cool things that can be done with an old suitcase. So I thought I would share my research with you. 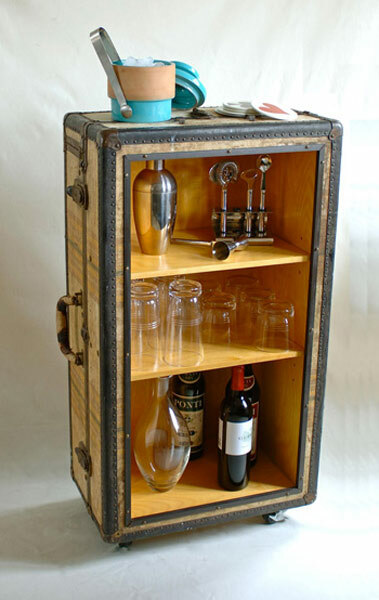 Have you ever made/created anything out of an old suitcase? Share and leave a comment below! 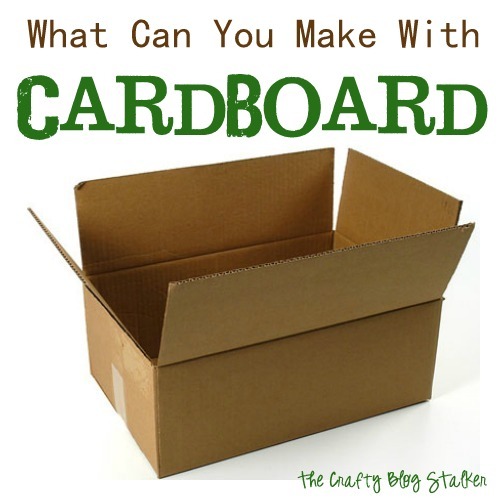 Want more DIY Craft Round-Up ideas? 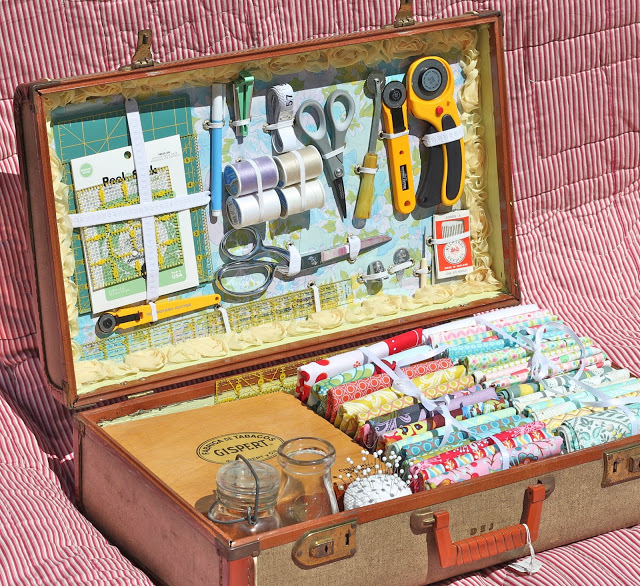 Nice collection of ideas – I have a little pink samsonite train case I picked up at Goodwill a while back, and it’s a great place to keep my crochet supplies and one current project and a book/magazine. I like the suitcase table. Thats really cute. SO AMAZINGLY ADORABLE! EACH ONE OF THEM!!!! I’m so glad I Found you thru the I Love My Online Friends GFC Hop! New Follower! YAY! These are so inspiring! 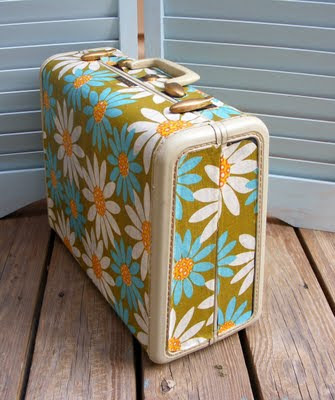 I really like the suitcase flower garden! and the table…who would’ve thought! 🙂 Thanks for sharing! Wow! These projects are sooooo amazing! I can’t even decide which is my favorite! Thanks for putting them all in one place! 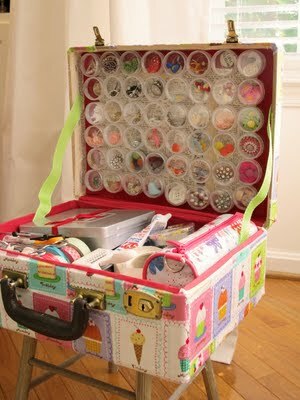 That dress up suitcase is such a great idea! Thanks for the ideas. Some great suitcase inspiration. 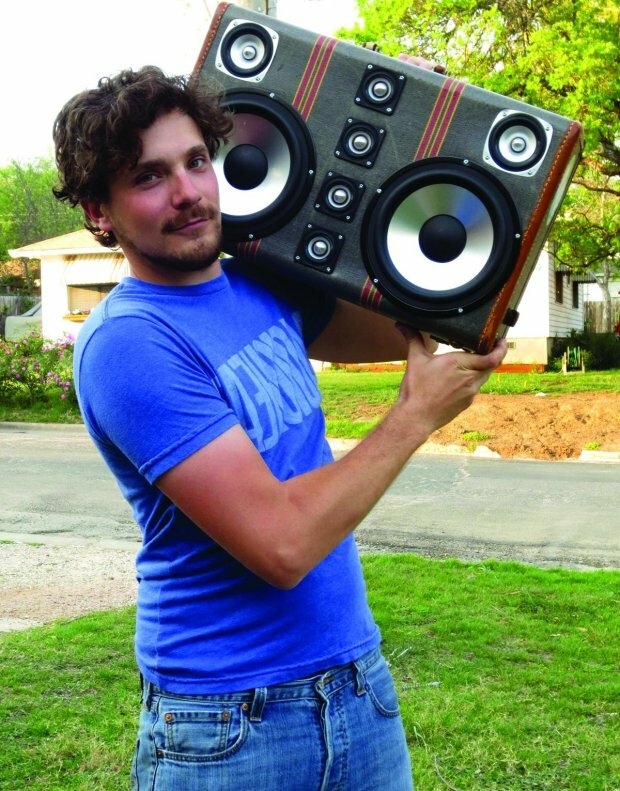 I love all the projects show, but my favorite for my own is for a vignette or a planter. Thanks for sharing your creative inspiration with Sunday’s Best – you helped make the party a success! PS – following you on Linky! Wow! 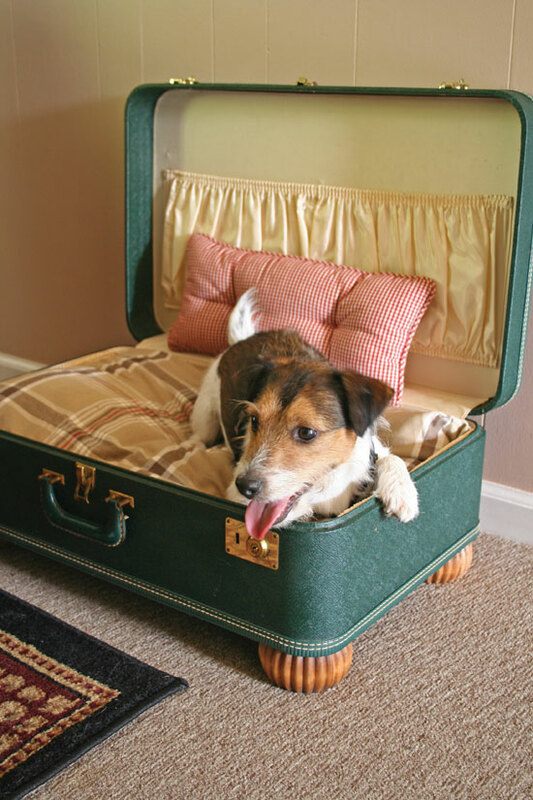 That’s a lot of amazing things to do with an old suitcase! 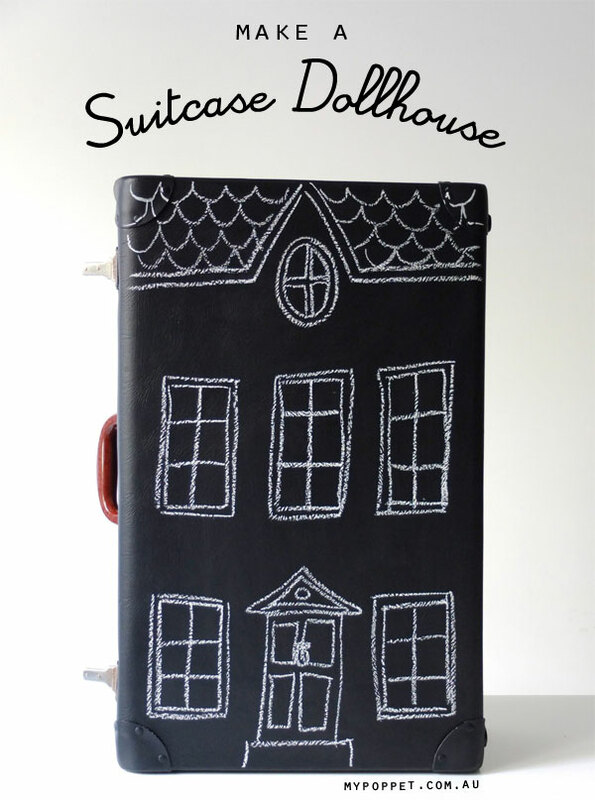 I think I really like the dollhouse suitcase best. Thanks for all the great ideas! 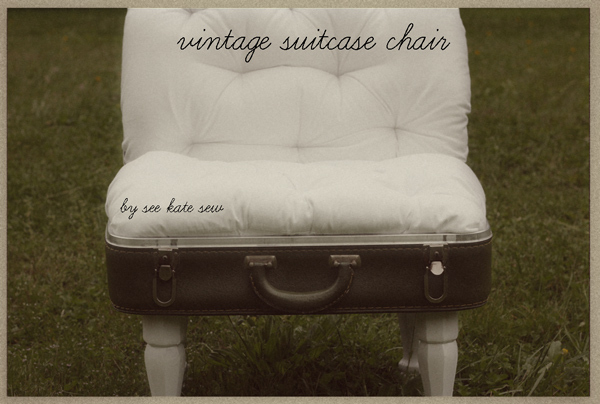 I have a few vintage suitcases and so afraid to alter them. Your collection of pictures has made me feel a bit braver. 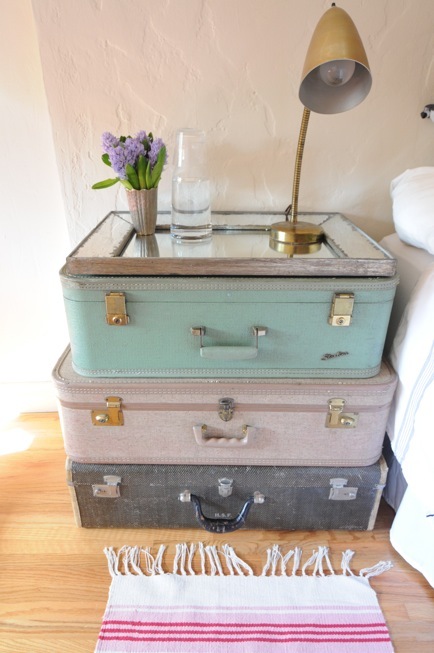 I love vintage suitcases and these are some awesome ideas! coming over from the blog hop to say hi! Fun ideas! Thanks for posting! What a fun idea and great play on words! I absolutely LOVE this post. 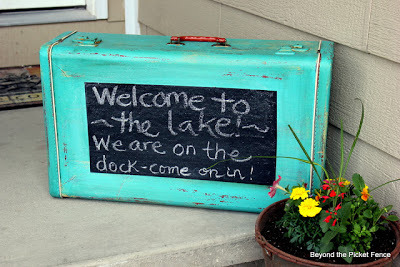 I have a old suitcase in my craft room that I painted and redone the inside but mine doesn’t look anything like these. I can’t decide which one is my favorite!